Designed for all voice connectivity to the work area for commercial or residential applications and includes screw terminals on the rear. Features two RJ-11 jacks for voice. 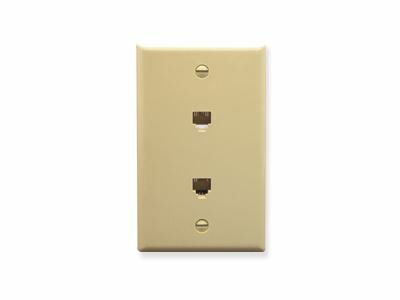 Designed for all voice connectivity to the work area for commerical and residential applications. Provides traditional screw down terminals for voice connectivity on the rear.